You can’t pick a better fishing guide! 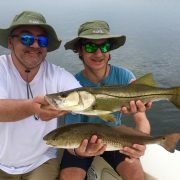 For anyone thinking about fishing in the Tampa/St Petersburg area, Captain Wade is the man. He’s the real deal. 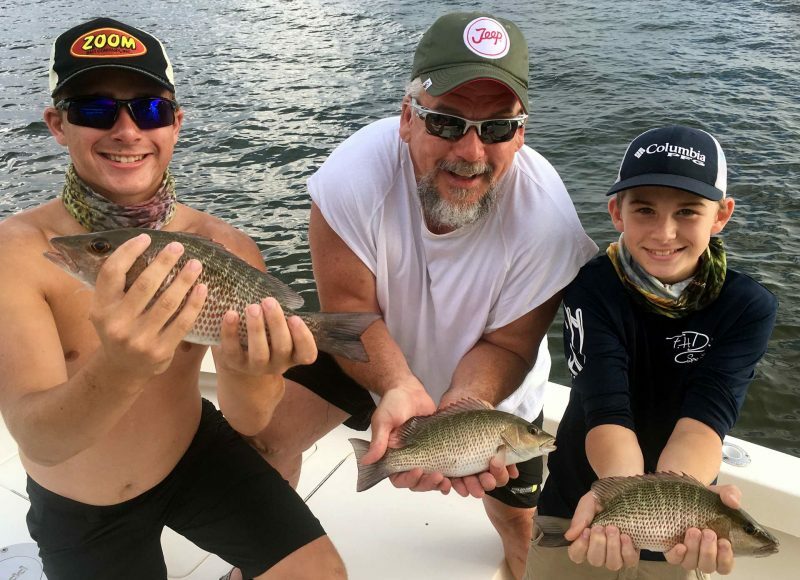 My two sons and I hooked up with Wade and literally from the first cast within 15 minutes of leaving the boat ramp, we were on fish up until the time we left in the afternoon. It was non-stop action. Top-notch professionalism, first-class is the way Captain Wade fishes! You can’t pick a better fishing guide to give you your money’s worth. 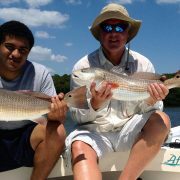 I have fished all around Florida and Texas and Afishionado is by far the best guide service we have ever had! 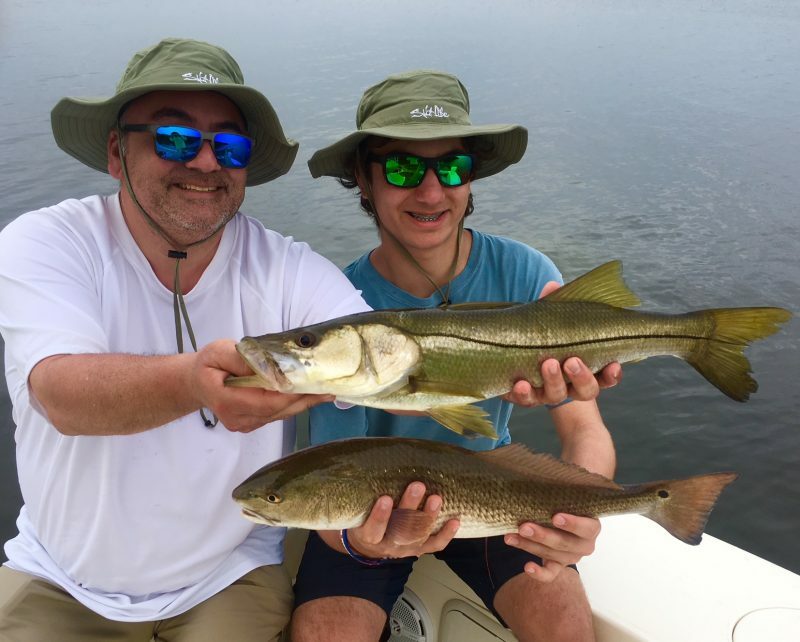 https://www.afishionado.com/wp-content/uploads/2017/09/TampaBaySnapperCharters.jpg 1391 1920 wpfishwade https://www.afishionado.com/wp-content/uploads/2018/03/afishionadoheader2.jpg wpfishwade2017-08-05 04:30:052017-12-22 11:18:15You can't pick a better fishing guide! We have been out with him several times. He arrives at the ramp with the bait well FULL! 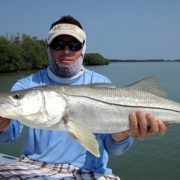 Wade does not waste the clients time finding bait like many other guides. He is up early and is loaded down with bait and ready to go from the second you step on his boat! His boat is another thing worth mentioning too. Wade fishes out of a 24 Sheaffer, in my opinion the best custom bay boat money can buy! 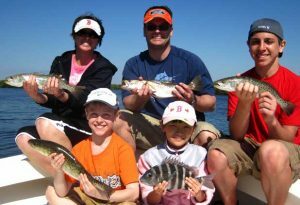 The boat is pleasure to fish out of for several anglers. HUGE bow and cockpit too with an excellent solid dry ride. Most other guides do not invest in a top shelf boat like a Sheaffer! 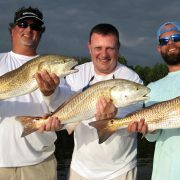 As to the fishing we have had AMAZING days with Wade! He works harder to catch you fish than any other guide I have fished with period! 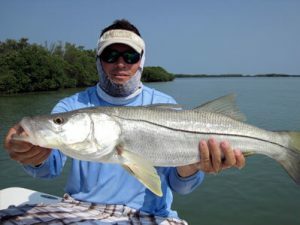 One example: On one of our last trips with Wade, we caught 110 snook & 30 reds! 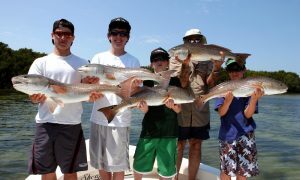 That was three anglers and we were going crazy hauling the fish in ALL DAY! https://www.afishionado.com/wp-content/uploads/2017/04/Patrick_Steve.jpg 549 942 wpfishwade https://www.afishionado.com/wp-content/uploads/2018/03/afishionadoheader2.jpg wpfishwade2017-05-23 16:35:282018-04-17 11:16:19Wade is the hardest working fishing guide on Tampa Bay! 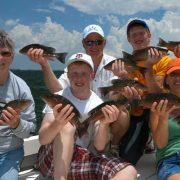 I have fished with Wade exclusively since 2002. 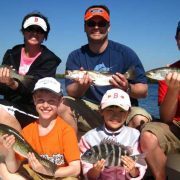 I have fished with Wade exclusively since 2002, when my two boys were young. 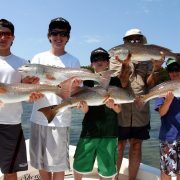 Now they’re 22 and 26 and they and their friends charter with Wade. https://www.afishionado.com/wp-content/uploads/2017/04/b22a2ddd4ea6021e9b899cad02539ec9-2.jpg 599 1000 wpfishwade https://www.afishionado.com/wp-content/uploads/2018/03/afishionadoheader2.jpg wpfishwade2016-07-06 16:30:292017-09-07 08:37:02I have fished with Wade exclusively since 2002. Thank you again for a great day of fishing. Dear Wade, I just wanted to thank you again for a great day of fishing on Friday. Both Darryl and Randy had a great time. Your professionalism and hard work certainly sets you apart from the majority of local guides we have been out within the past. I believe Randy even commented a few times on how he couldn’t believe you went and got bait first! 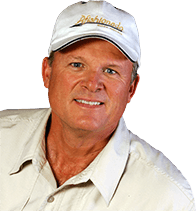 Randy was also very pleased that you can, as he says, “Take it as well as give it back.” He obviously loves the back and forth banter. Look forward to getting out on the water again with you. https://www.afishionado.com/wp-content/uploads/2017/04/718cbffeb51fb3d2c4d44215087556a5-2.jpg 299 399 wpfishwade https://www.afishionado.com/wp-content/uploads/2018/03/afishionadoheader2.jpg wpfishwade2014-06-08 16:34:082017-09-07 07:57:51Thank you again for a great day of fishing. Professionalism, knowledge and expertise of the Tampa Bay waters. 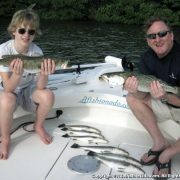 Dear Wade, On behalf of our family we want to thank you again for two wonderful charters this February, 2013. 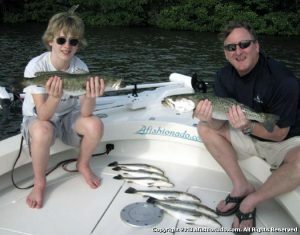 This marks our third year we have committed to Afishionado Guide Services. 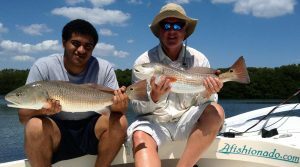 Your professionalism, knowledge and expertise of the Tampa Bay waters and “seasonal hot spots” are second to none. We highly suggest any charter prospect to choose Captain Wade and Afishionado Guide Services for their next charter! We look forward to our fourth year in 2014! https://www.afishionado.com/wp-content/uploads/2017/04/f9825b3505d788821fd1222bb63fcda5-1.jpg 471 601 wpfishwade https://www.afishionado.com/wp-content/uploads/2018/03/afishionadoheader2.jpg wpfishwade2013-03-25 16:16:532017-09-07 08:15:00Professionalism, knowledge and expertise of the Tampa Bay waters. My family is still talking about the fishing trip. Kudos to you! 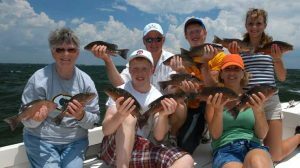 It has been a few weeks and still my family is still talking about the fishing trip we had with you. That to me is well worth any expense. We were looking for family memories and looks like we have a great one. The snappers were a hit back at the condo, very delicious. Thanks again for your time and the great experience that you gave us. I was worried about Monica, if she would last for the 6 hours, but it went by very fast and she, along with everyone really enjoyed the outing. Can’t wait for the photos, I think my mom is bragging to her neighbors, so she is also more than eager to see them. Next time we are in Tampa, we are definitely calling you for another trip. https://www.afishionado.com/wp-content/uploads/2017/04/52b249606be9fb29271cf58c94fdd1a7.jpg 413 739 wpfishwade https://www.afishionado.com/wp-content/uploads/2018/03/afishionadoheader2.jpg wpfishwade2012-07-17 16:12:252017-09-07 08:16:44My family is still talking about the fishing trip. Fishing with Wade is simply the best! 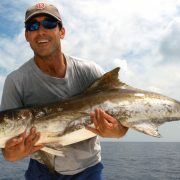 I’ve fished with guides all around the world. Fishing with Wade is simply the best fishing experience in Florida. 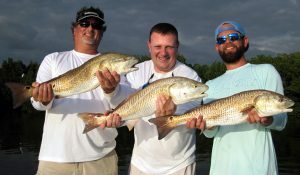 If you want to get the big ones, fish with Wade! https://www.afishionado.com/wp-content/uploads/2017/04/e9ad2a05ece68c1f101416eb3fbb03f0-2.jpg 630 1000 wpfishwade https://www.afishionado.com/wp-content/uploads/2018/03/afishionadoheader2.jpg wpfishwade2011-08-18 16:28:102017-09-07 08:18:25Fishing with Wade is simply the best! Wade always puts us on the fish! https://www.afishionado.com/wp-content/uploads/2017/04/bca0b782bbb2afb5eed675af4b246775-1.jpg 556 1000 wpfishwade https://www.afishionado.com/wp-content/uploads/2018/03/afishionadoheader2.jpg wpfishwade2011-04-10 16:19:212017-09-07 08:15:49Wade always puts us on the fish! Another terrific day of memories for my family. 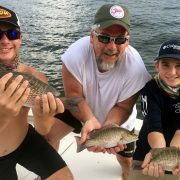 I wanted to thank you Wade for another terrific day of memories for my family on the water under your guidance last week. The kids really enjoy the time and talk fondly of all of the fish that they catch. Griffin talked about the one that got away and how he is sure that he would have made the snook album on the website if he had landed that one. Something to bring him back for more is what I told him. I even think Vanessa had a good time catching some fish, since she has never fished before. I would also like to thank you for working with Kinley on her casting. She wants to do everything by herself and was happy that you took the time to help her achieve that. 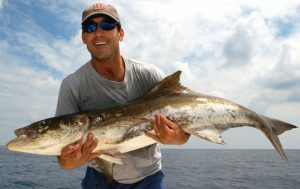 Once again I hope the fishing is strong this month since you are booked solid. Cole and Kinley have been checking the website to see if the family picture made the site. The photo on our camera turned out well. I would love for you to send me your copy when you get a chance. I almost forgot that the trout tasted amazing when we had them cooked up at The Wharf that Wednesday night. https://www.afishionado.com/wp-content/uploads/2017/04/e217322687db55de90de3f21ca1d1dc1.jpg 422 618 wpfishwade https://www.afishionado.com/wp-content/uploads/2018/03/afishionadoheader2.jpg wpfishwade2010-04-06 16:24:062017-09-07 08:20:10Another terrific day of memories for my family.